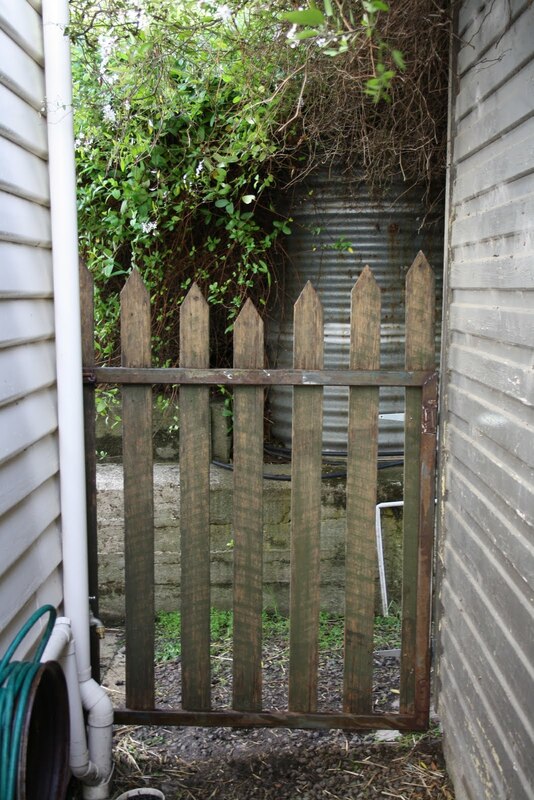 ...we are super excited about our new old gate to the veggie patch. Just installed today. Yay! ...we're enjoying the spring flowers, daisies, snap dragons and daffodils in the children's garden. ...there are very industrious children pondering the design of their restaurant. At my house there is also a chilly wind blowing. But we've soup on the stove, tea in the pot and biscuits in the tin to keep us warm. Head on over to Buttons by Lou Lou where you can visit some other lovely houses. 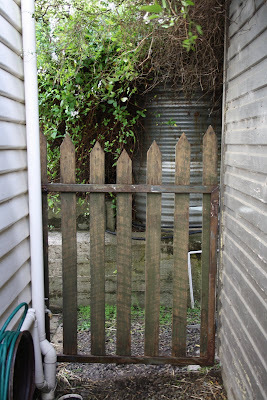 Love the gate, and the spring flowers, and all the rest. Sounds like a nice day at your house. Thanks so much for joining in this week. Lou. Mabel gazing at flowers is pretty cute - or is she just wondering which part of the bed should she dig up? beautiful spring garden. love the pic of your little one in wonderful concentration.